The garden lodge is a short walk from the main house and still within the beautiful grounds. 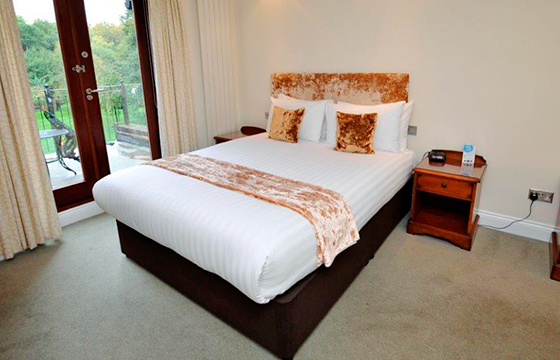 The rooms are modern and well-appointed and some have patio doors opening onto the gardens. The lodge also has its own car parking for your convenience. Garden Suite with double or twin bed, Jacuzzi spa bath, patio doors which open onto the garden and seating area within room and on the patio. 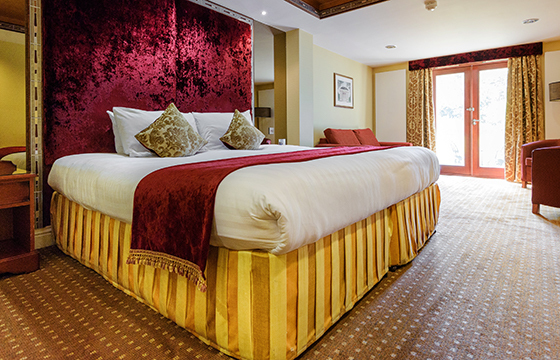 Executive room with double bed and view over the gardens. Executive room with 2 single beds and view over the gardens. 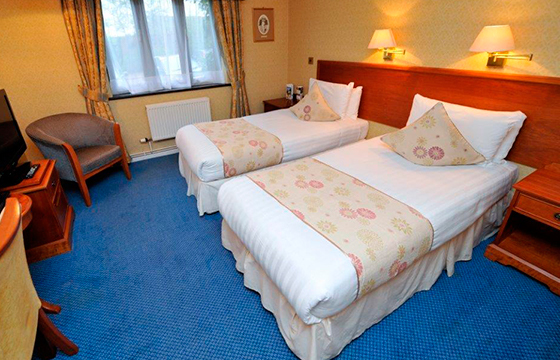 Executive room with double or twin bed, view over the gardens and balcony with seating. Standard garden lodge room with double or twin bed. 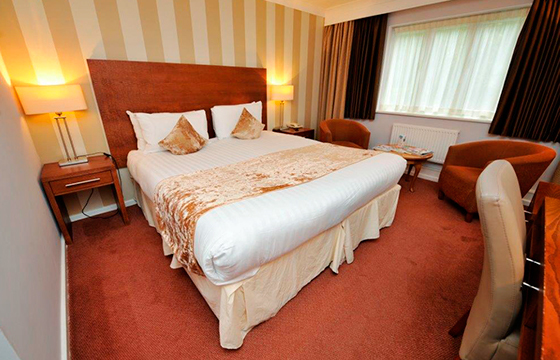 Standard disabled access room on ground floor with double or twin bed and walk in shower facilities. 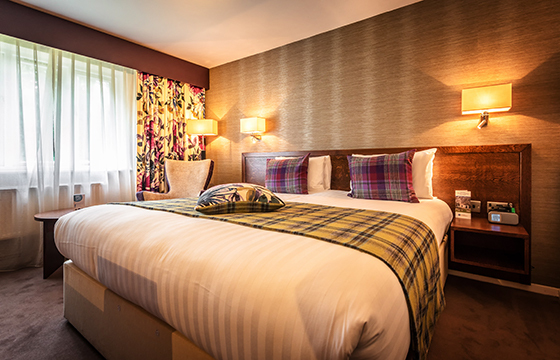 Sunday DBB Offer – £120 For Two! Our incredible value Sunday offer. Come and stay in one of our classic rooms in the Garden Lodge, enjoy a 3 course meal in our award winning restaurant and start your day with a hearty full english breakfast. Call us on 0208 385 3100 now or send us an email to take advantage of this offer. Subject to availability. Upgrades are available – please enquire. Valid on Sundays and for new bookings only. Dinner is a 3 course meal from our set menu, supplement charges may apply. A table for dinner must be reserved at the time of booking to guarantee a seat. Please may we respectfully advise that prior written consent is required from the hotel for guests wishing to take formal photos in our house or grounds.